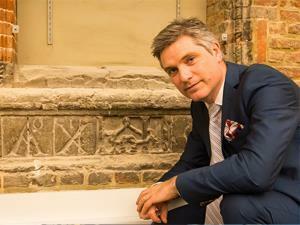 Join Dr Jonathan Foyle for a fascinating talk on the Lost Decoration of Historic Buildings. Many of our greatest buildings appear completely different to the way their earliest audiences saw them. Much of their original effect depended on coloured or patterned surface exterior finishes, which have been lost due to changing fashions or simply a lack of maintenance. This talk explores archaeological, documentary and visual evidence for rich decorations that, when reconstructed, transform our perceptions of how cathedrals, palaces and houses great and small once looked. Some examples can throw new light on how fashions spread across early modern Europe. You’ll certainly never look at a bare walls the same way. Tickets will be issued in the form of an e-ticket which will be available to print online after purchase. Please bring this with you to the event to gain entry. Ticket includes a glass of wine. If this is a personal purchase and you are a UK taxpayer*, Heritage Eastbourne can increase the value of your purchase without costing you a penny. If you tick the 'Reclaim Gift Aid' box and fill in your full name and home address details, Heritage Eastbourne will be able to claim at least 25% extra from the Government on top of your purchase made through Visit Eastbourne. Your name and address will be forwarded to Heritage Eastbourne in this case to allow them to claim the Gift Aid. *You must have paid UK tax this year at least equal to the 25% Heritage Eastbourne will claim.